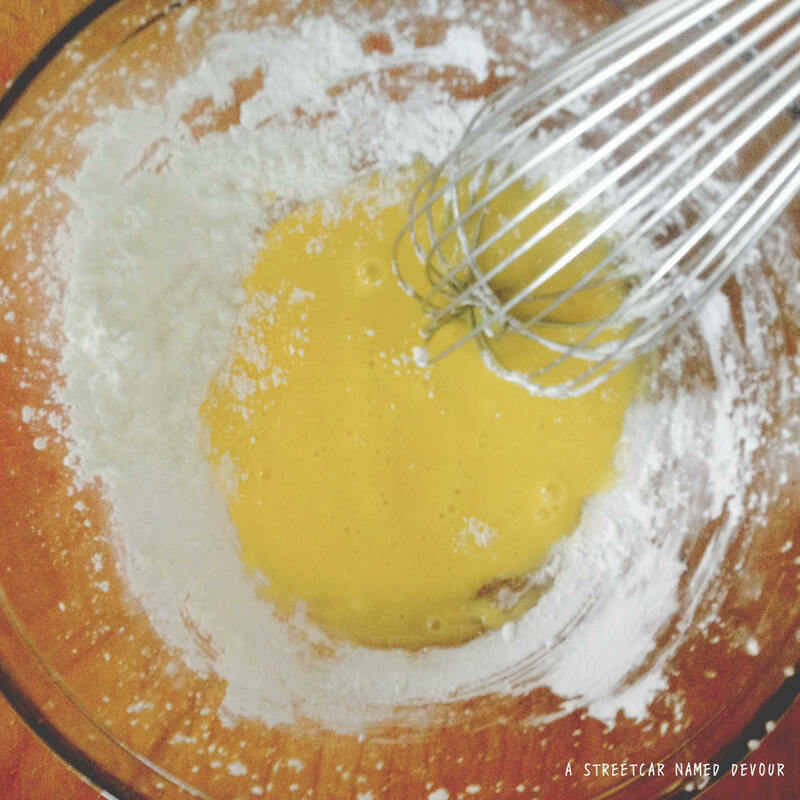 Whisk together the first five ingredients into a small bowl till smooth. 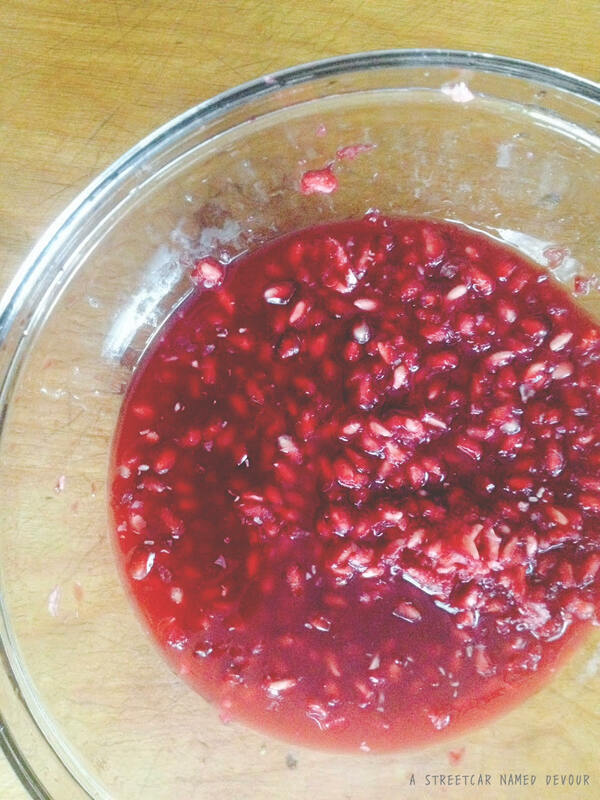 Place the juice from the pomegranate, water and the lemon juice in a pot over medium-low heat, and bring to a simmer. 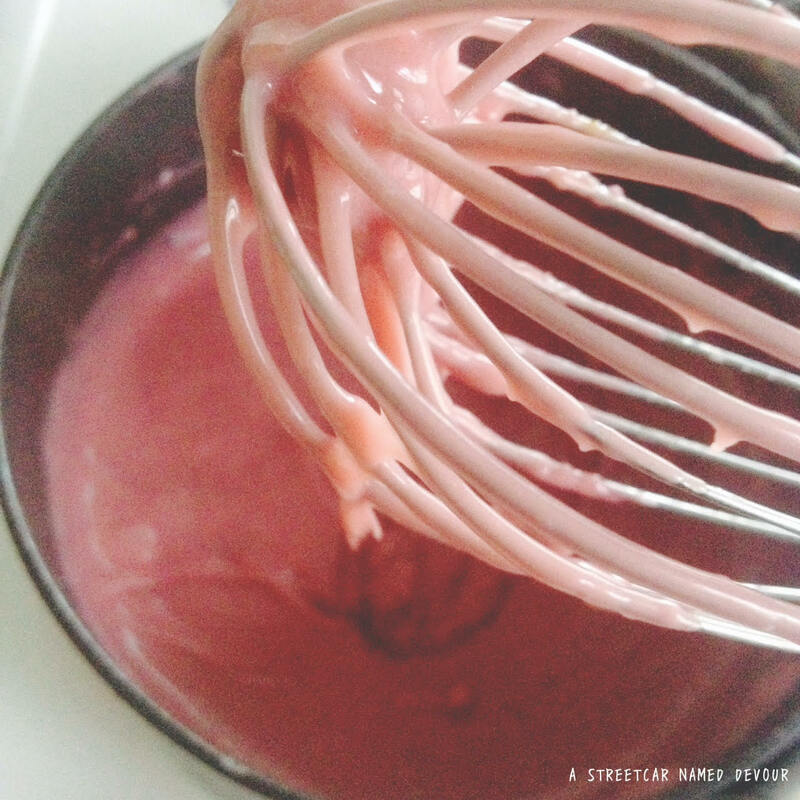 Slowly pour in about a 1/4 cup of the heated juices into the egg mixture, whisking constantly to combine. Add another 1/2 cup of the hot liquid, whisking till the egg mixture is warm to the touch. Carefully pour in the tempered egg mixture into the pot with the remaining hot liquid, whisking constantly. Cook the mixture gently, stirring constantly to avoid lumps and adjusting the heat temperature accordingly. Whisk in the cold butter and lemon zest, then transfer the mixture into a bowl to cool. Serves well as a filling for cake or this Aebleskiver recipe.